I guess I better start paying more attention to my StumbleUpon account. New data shows it is second only to Facebook among Social Media traffic. Who knew? When you think of social media, two products immediately come to mind: Facebook and Twitter. If you’re in the technical world, you’d probably also mention Digg and Slashdot. A product that is rarely talked about among social media products, but has a surprisingly large footprint on the Web, is StumbleUpon. It now has 10.6 million users and regularly pushes big traffic to online publishers. 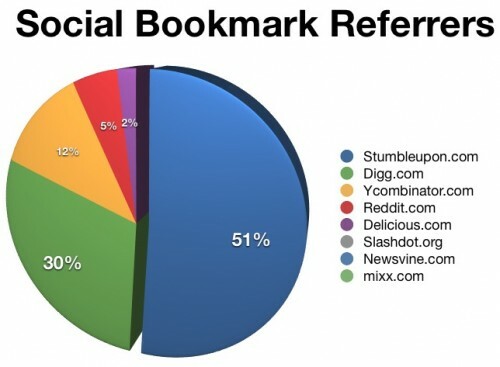 According to a new analysis by Web analytics company Woopra, StumbleUpon drives nearly twice as much traffic than Digg. StatCounter uncovered a similar trend recently, with StumbleUpon second only to Facebook among social media traffic drivers. “Explore the web like never before,” declares the StumbleUpon sign up page. And indeed the beauty of StumbleUpon is how easy it makes browsing the Web. It’s often called a ‘serendipity engine’ for its ability to turn up strange and new content.